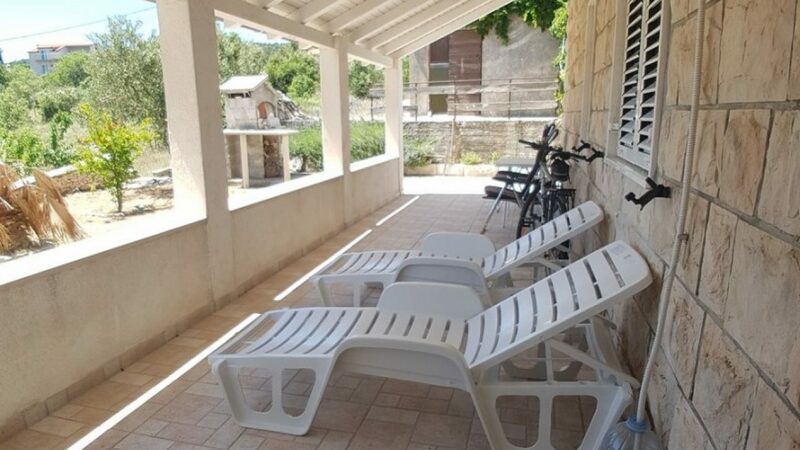 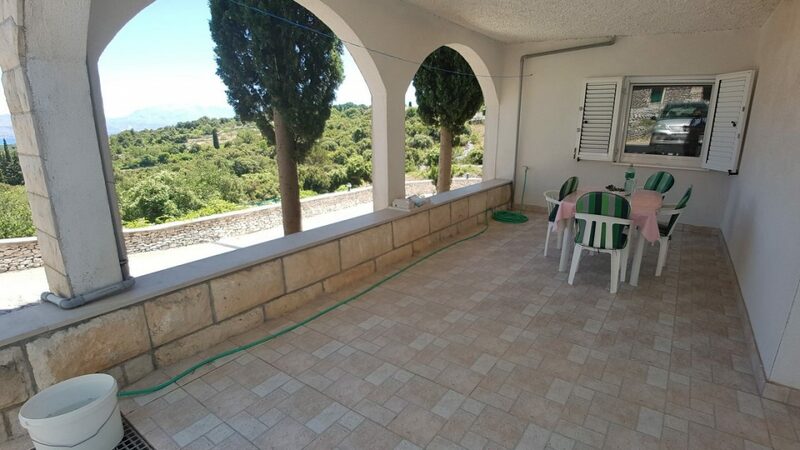 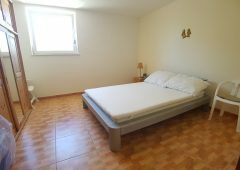 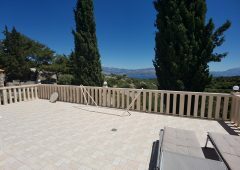 BR1229IV – Lovely house for sale Brac, in a small village above Postira, surrounded by lots of greenery and with fabulous sea view. 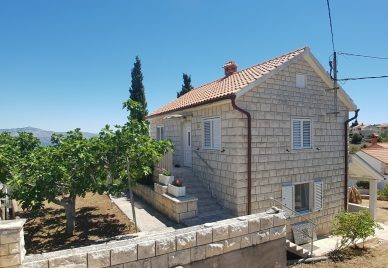 The house consists of two levels, a ground floor and the first floor, both feature an apartment unit. 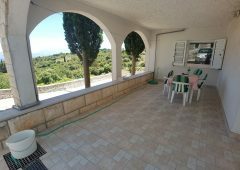 The ground floor consists of an one bedroom apartment with 62m2 of living space and a large covered terrace of 23m2. 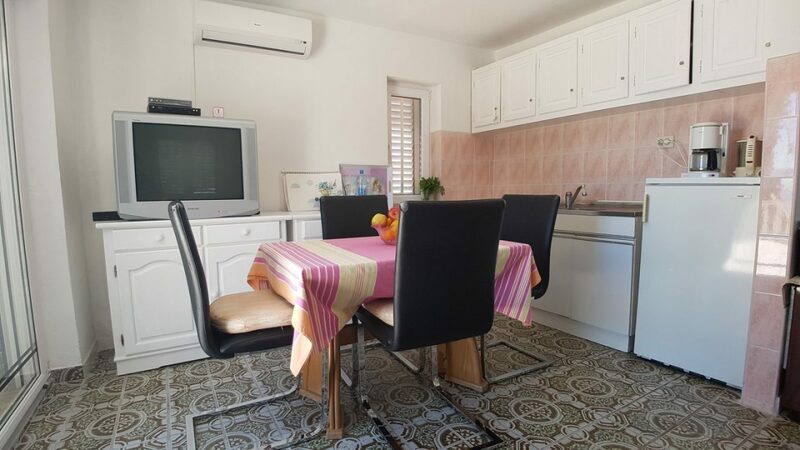 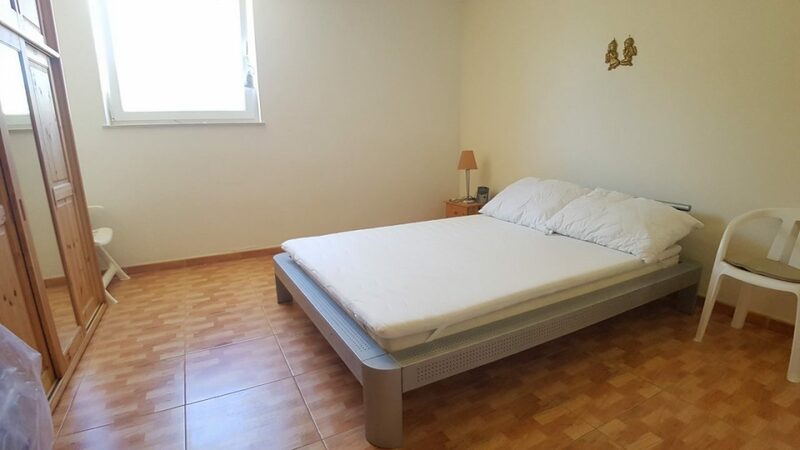 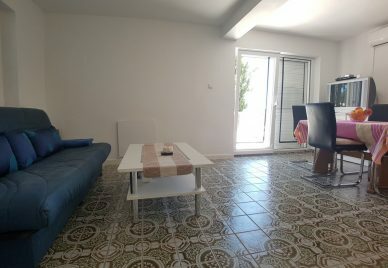 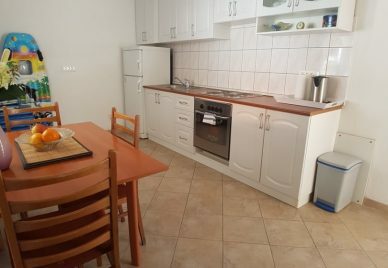 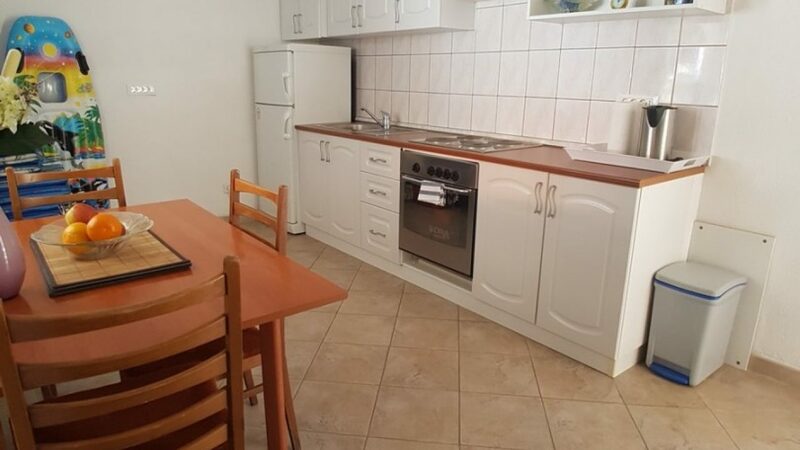 The apartment has a 15m2 bedroom, a bathroom, a 23m2 living room and a 12m2 kitchen. 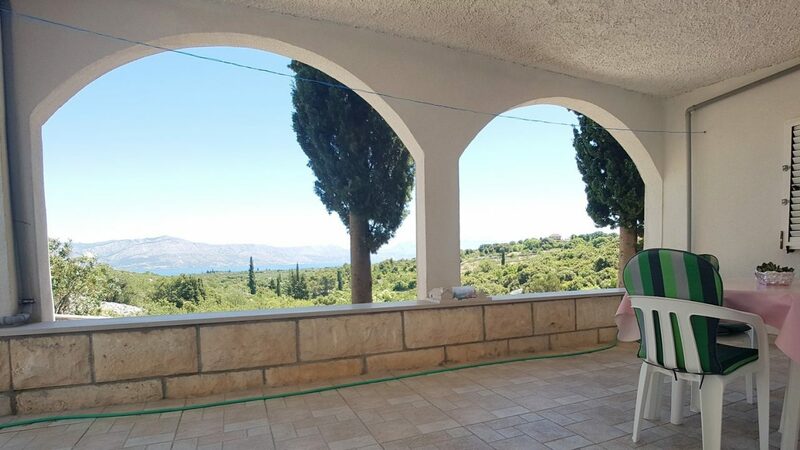 From the living area and the kitchen you step out onto the large covered terrace with fabulous sea view, an ideal spot to enjoy outdoor dining. 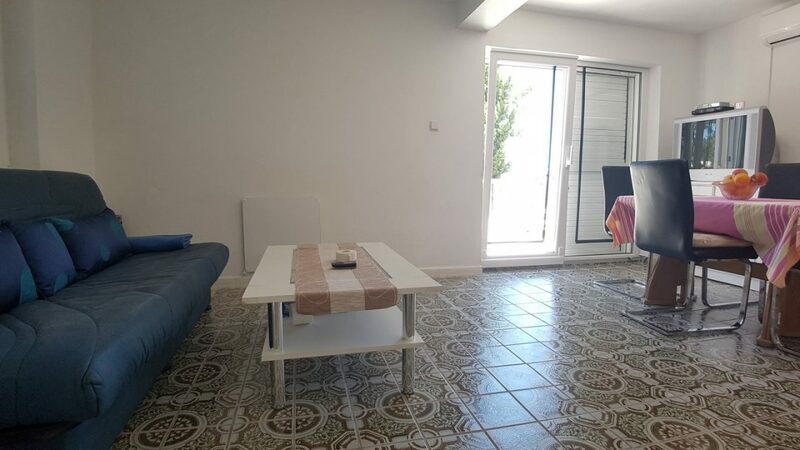 The first floor contains a two bedroom apartment with a large 47m2 terrace with fabulous sea view. 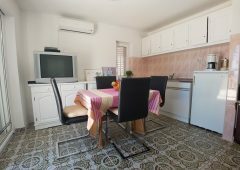 The apartment consists of two bedrooms, a bathroom and a 19m2 living area with kitchen and dining room. 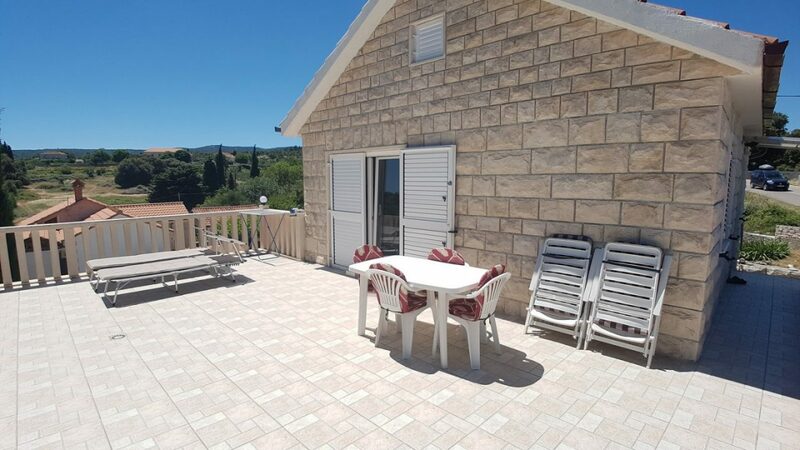 From the living area you step out onto the beautiful, large terrace with an outdoor dining set and lounge area. 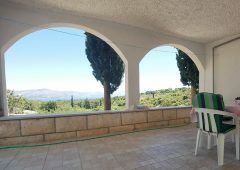 The terrace gas fabulous sea views and views over the beautiful surroundings. 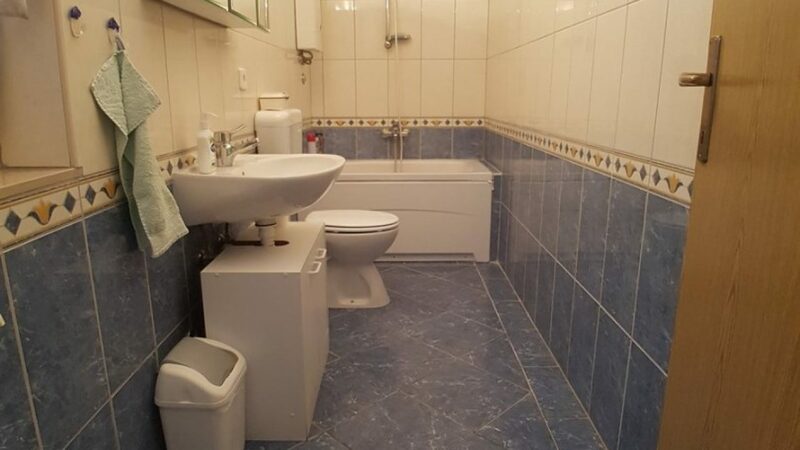 The house has a large outside space, it is situated on a land plot of 700m2, it has a large garden, a barbecue area, a shed and a parking lot. 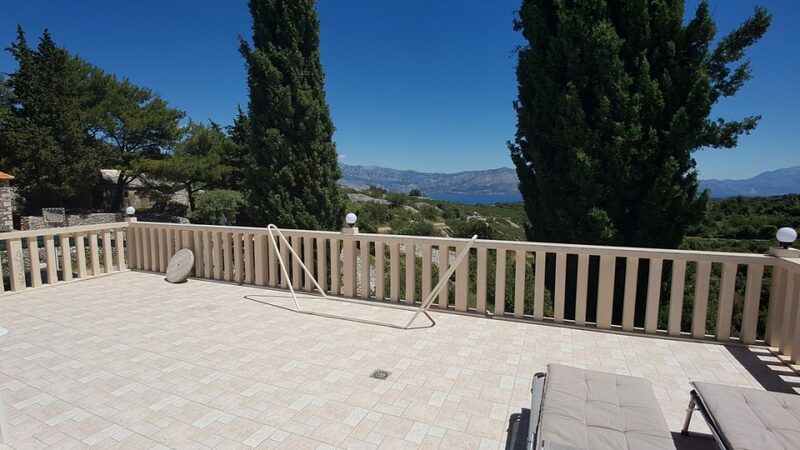 There is enough space to build a swimming pool and sundeck. 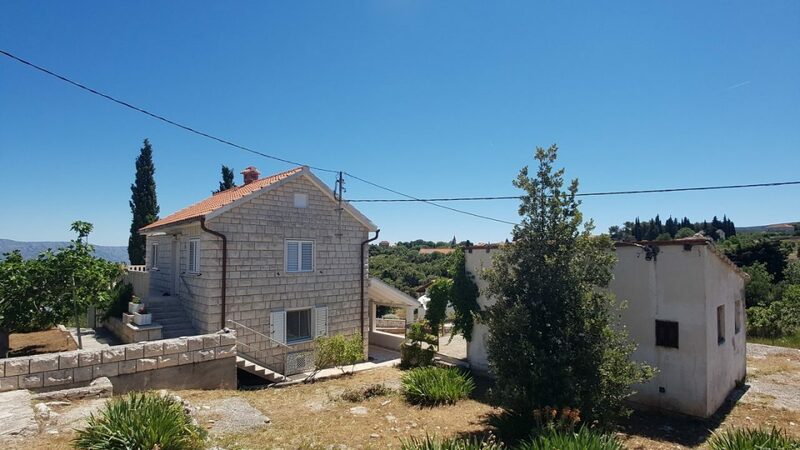 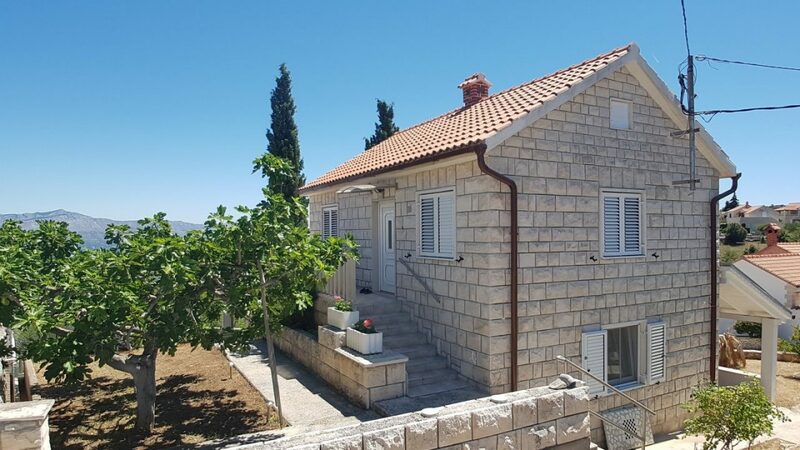 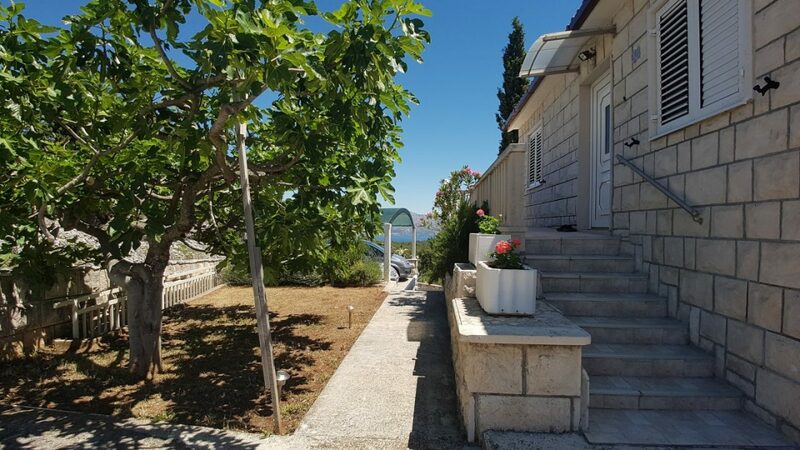 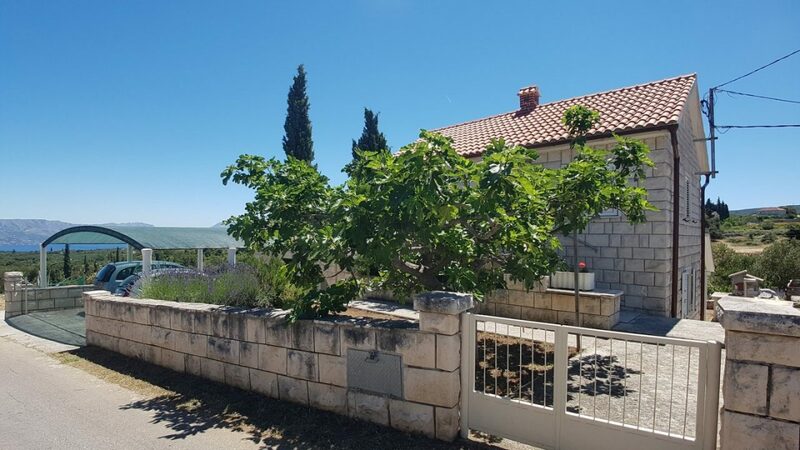 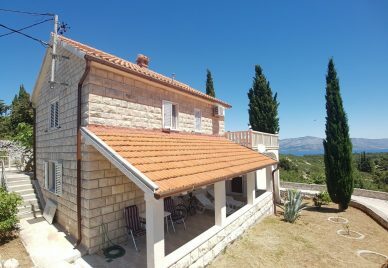 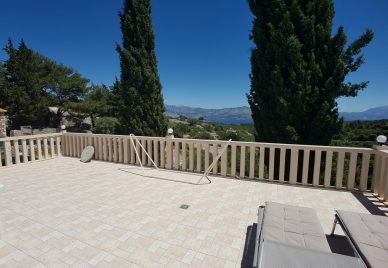 The house for sale Brac is located in a small village above the beautiful Splitska bay and just a 10minute drive from the town Postira. 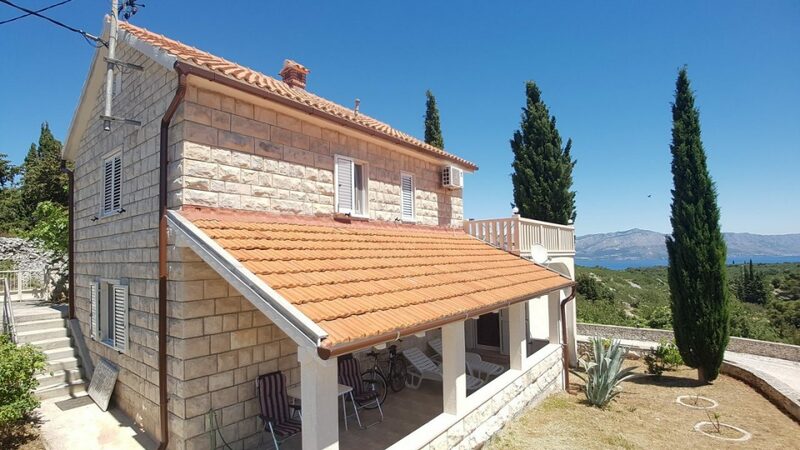 Brac is a very popular holiday destination, the island is very well connected to the mainland by frequent ferry and catamaran lines from Split and it’s known for its natural beauty, fabulous beaches, picturesque towns and many historic and cultural sights.